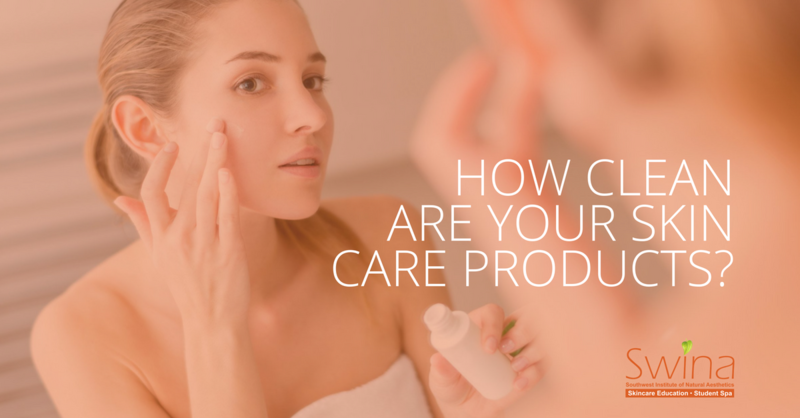 Why is it important to inspect your cosmetic products and make a more conscious decision when buying skin care items? Well, think about it this way… How many different cosmetic items do you use? Then, take into account how many ingredients are in each of those products. What purpose do all those ingredients serve, and what do they do to the body? 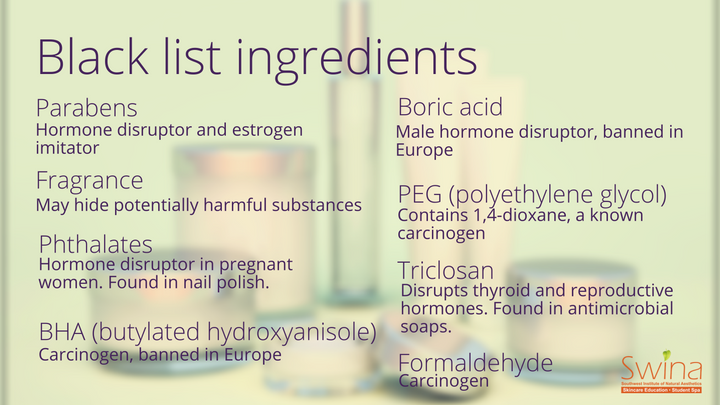 Unless you have a toxic-free regimen, chances are you’re consuming up to hundreds of harmful ingredients! Yes, the skin is a barrier to certain elements such as water, but other ingredients are just microscopic enough to seep into the skin, then into the bloodstream, and off to your organs where many of them may cause damage over time. Therefore, it’s important to take care of your skin with clean and nourishing products. Follow these 4 simple steps to detoxify your skin care routine! Look for products with fewer ingredients and names you’re familiar with, which will lessen your exposure to harmful chemicals. Another important note: read from top to bottom. For cosmetic products, the law states that the ingredients must be listed in descending order from greatest concentration to least, unless it constitutes less than 1%.1 In that case, those ingredients can be listed in any order, and if there is an active ingredient that treats the skin, like acne medication, it’s listed first. 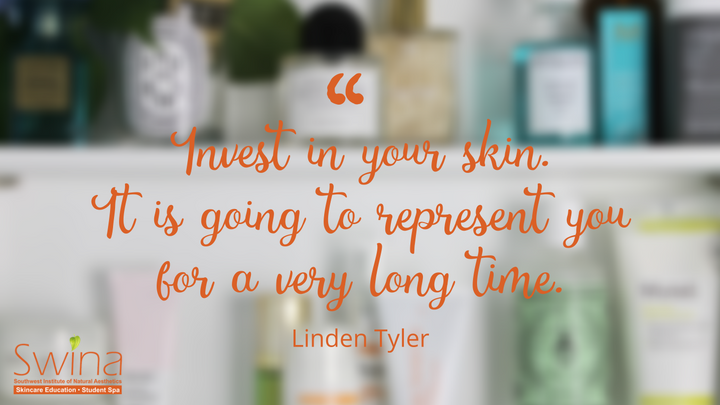 Ask a professional if you’re unsure of what your skin needs. 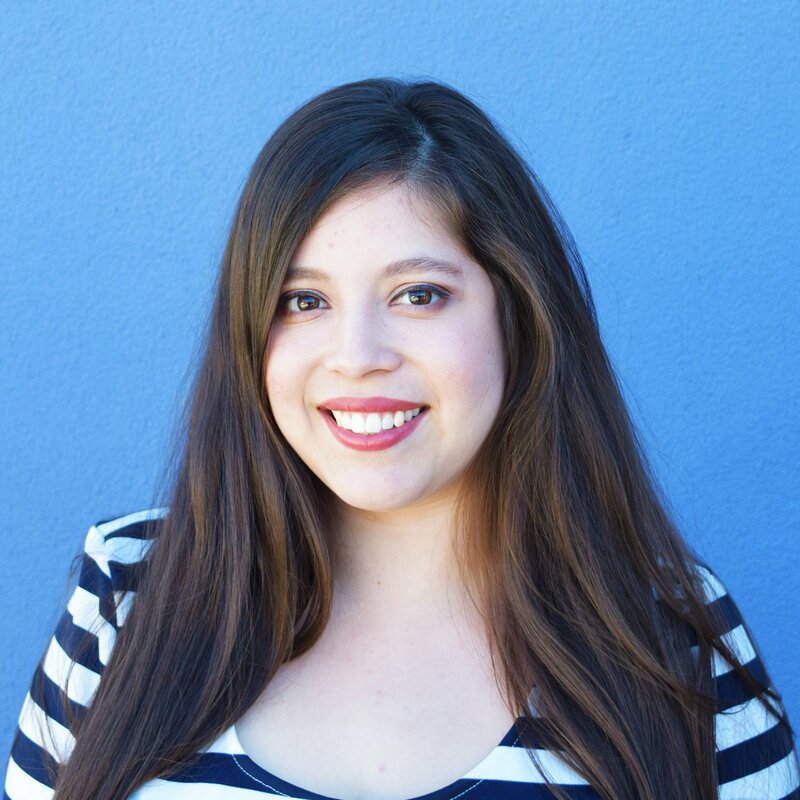 They’ll study your skin and help you arrange the best skin care regimen suited for you and your skin type. Book an appointment at SpaSWINA with one of our very capable aestheticians-in-training and discuss any concerns on how to care for your skin. Clean out your beauty cabinet. Refer to the EWG's guide to determine whether or not your products are safe. They use a simple grading system with explanations on how and why a product is considered unsafe. Just type in the name of the brand, and search for your product. Stay healthy and free of potentially harmful chemicals when you follow these simple guidelines. Remember to do your research and consult with an aesthetician to help you develop a skin care regimen based on your skin type and lifestyle. When shopping for your beauty products, be sure to check the labels, and steadily replace your products with more natural ones. You’re also more than welcome to check out the products we use at the Southwest Institute of Natural Aesthetics, including Rhonda Allison, Hylunia and EltaMD! These products are natural, toxic-free, and good for your skin.